Active head of department – PhD, associate professor Larysa Volodymyrivna Chernobay. Professor D.I. Marakushin – D.M.Sc., director of Education and Research Institute for Training of International Citizens of Kharkiv National Medical University. Responsible for organization of training-methodical work – PhD, as.prof. 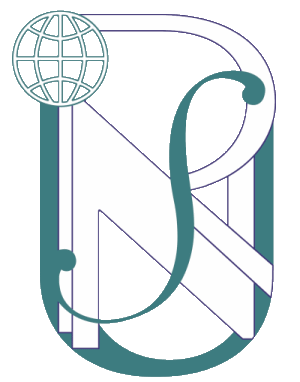 I.S. Karmazina; responsible for organizational-methodical work with Bachelor’s students – PhD, as.prof. O.V. Dunaieva; responsible for scientific work and student scientific group – PhD, as.prof. I.M. Isaieva; responsible for educational work – PhD, as.prof. M.A. Vashuk. Associate professors – PhD, R.V. Alekseienko; PhD, M.P. Kirichenko; PhD, N.I. Pandikidis; higher teacher – O.M. 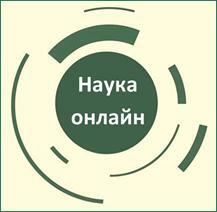 Sokol; assistants – PhD, A.V. Goncharova; PhD, N.V. Grygorenko; PhD, N.M. Maslova; PhD, O.M. Tishenko; O.D. Bulynina; H.M. Zelenska; M.M. Kovaliov; S.V. Shenher; N.S. Hloba. Physiology department carries out the training of students in 2 educational qualification levels – “Bachelor” and “Master”. 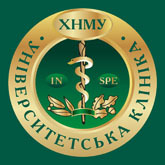 Master’s degree includes studying of discipline “Physiology” in 2nd year for I, II, III, IV Medical Faculties and Dentistry Faculty (Ukrainian students), V Faculty for Training of International students (Russian-medium students), VI and VII Faculties for Training of International students (English-medium students); discipline “Physiology with peculiarities of children age” – in 2nd year for III Faculty (Pediatrics); discipline “Age-related Physiology” – in 1st year for IV Faculty (Physical Rehabilitation and Ergotherapy). Bachelor’s degree comprises studying of discipline “Physiology” in 1st, 2nd and 3rd years for division “Technologies of Medical Diagnostics and Treatment”; discipline “Normal human physiology and pathological physiology” – in 2nd year for division “Physical Rehabilitation and Ergotherapy”; disciplines “Sports Physiology” ad “Age-related Anatomy and Physiology” – in 4th year for division “Human Health”. For teaching of all mentioned training divisions in 2018-2019 Physiology department created corresponding educational programs and based on them training plans. Educational work of Physiology department’s staff is directed at best possible mastering by students of knowledge and skills during practical classes and successful solution of situational tasks for passing the Common State Licensed Exam. Training of students in department is based on principles of provision of methodical and informational materials for educational process with elements of individual work. Texts of lectures and training manuals in Ukrainian, Russian and English languages were created. Lectures are supplied by modern technical tools and demonstration materials. Special attention is directed at improvement of practical classes. Manuals for teachers for carrying out the practical classes were made. All the materials are presented in free access in Repository of KhNMU and on official page of Physiology department in Facebook. Physiology department staff together with department of Social Health and Management of Healthcare take part in initiative research “STATE OF AUTONOMIC REGULATION IN STUDENTS IN PROCESS OF ADAPTATION TO SOCIAL, TEMPORAL AND NATURAL FACTORS” (state registration number 0118U000947; execution term – 2018-2020). During the first year of research it was determined that the majority of examined students have an average level of indexes of adaptive potential with tendency to have the better self-esteemed quality of life in case of having higher personal adaptive abilities. The tension of nervous-psychic state in people with low level of psychic-social adaptation leads to decreased attention and faster fatigue development proved by results of current research. Received data about intensity of meteosensitivity among students indicates the progression of weather dependency in young people on the background of functional loads (physical, intellectual, emotional, psychic, etc.) in conditions of time deficiency, stress situations, high tension of working process, that may lead to exhaustion of reserve capabilities of an organism under the influence of constantly changing intensity of natural factors, such as geomagnetic situation, becoming one of reasons of disadaptation syndrome development up to appearance of meteopathy. Based on mentioned above, the staff of Physiology department works on recommendations for prevention of meteodependency progression in young people, in particular medical students. Physiology department was formed in 1805, when in organized medical faculty of Kharkiv university the united department of anatomy, physiology and forensic medicine was made. That united department was led by physiologist and anatomist, doctor of medicine of Freiburg university Ludvig I. Vanotti(1771-1819), talented scientist, professor Ivan D. Knygin (1773-1830), Oleksandr S. Venedyktov. In 1836 from united department the separate department of Physiology was formed, the head of which was the famous physiologist, student of professor I.D. Knygin, Ivan O. Kalenichenko (1805-1876). From 1863 the department is led by professor Ivan P. Shelkov (1833-1905), after whom it was succeeded to his famous student, professor Vasyl Y. Danilevskyi (1852-1939) – student of Kazan and Kharkiv universities, talented physiologist, diverse activity of whom is well-known not only in Ukraine, but also far beyond its borders. In 1926 the position of head of physiology department was given to one of famous students of I.P. Pavlov – Georgii V. Folbort (1882-1960) who transferred to Ukraine the physiological teaching of I.P. Pavlov. From 1946 to 1966 the department was led by corresponding member of Academy of Sciences of Ukrainian SSR, honored scientific worker, doctor of biological sciences, professor Elizaveta K. Pryhodkova (1892-1975). During 30 years, from 1967 to 1997, Physiology department was led by pupil of Leningrad physiological school, professor Fedor P Vediaiev (1928-2000) – doctor of medical sciences, professor, laureate of Prize of P.K. Anokhin. From 1997 to 2014 the department was headed by F.P. Vediaiev’s student, professor Valeriy G. Samokhvalov. His research was pointed at mechanisms of stability to emotional stress in conditions of influence of negative environmental factors. From 2015 the scientific research work of department is aimed at determination of peculiarities of integrative and autonomic functions in process of adaptation to intellectual, emotional and physical loads in students of medical university in dynamics of first 3 years of studies. Currently department’s staff is studying the state of autonomic regulation under the influence of social, temporal and natural factors (scientific supervisor of research – doctor of medical sciences, professor Dmytro I. Marakushin).